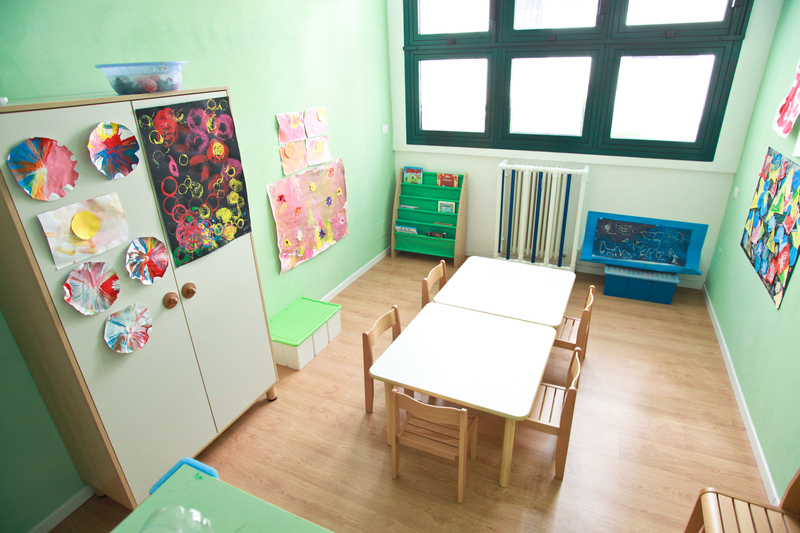 Our warm, welcoming nursery school is open to children from ages 3 to 6 years (plus a spring section for children who have turned 2-years-old. 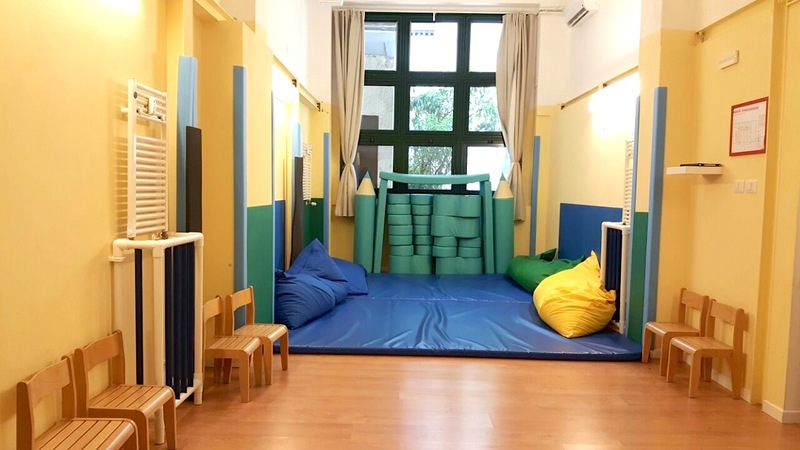 The two sections of smaller and bigger children freely mix, in order to allow for group activity programming and for children to know and benefit from the structure’s spaces. 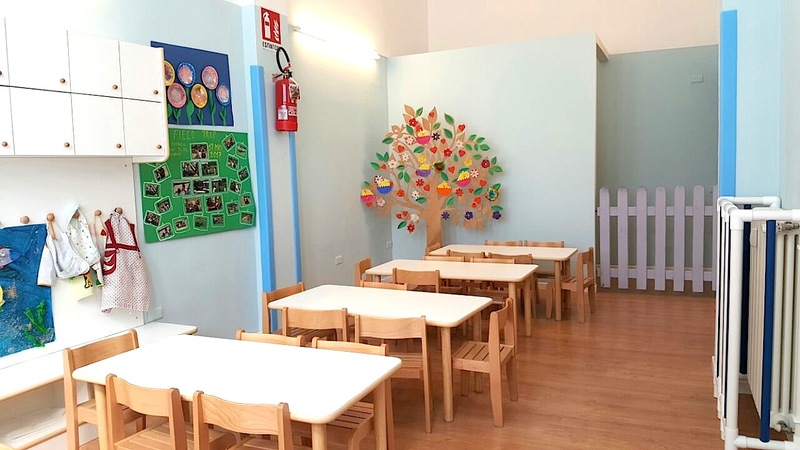 The preschool represents an educational context that, united with the family’s irreplaceable role, contributes to children’s growth and development. 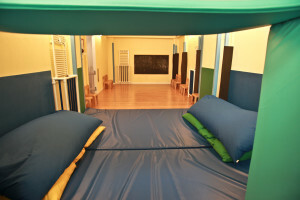 1) The Puntino Colorato values every child’s potential and supports his or her identity development in a serene and wellness-centered environment. 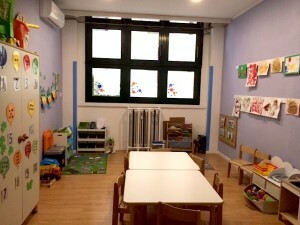 2) It provides children with the necessary tools to best express their communication, social, artistic, relational and intellectual potential, accompanying them on their path towards reaching autonomy in a peaceful and stimulating place that nurtures/encourages/aids their affective, cognitive and social growth. 3) It creates spaces for socialization and artistic expression (as understood it all its forms) with love and with respect for both diversity and for the environment as well as the children’s and the families’ wellbeing. 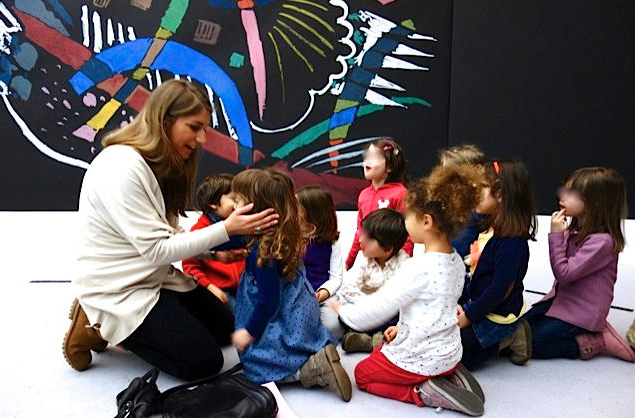 WHY A NURSERY SCHOOL DEDICATED TO ART? We hope to promote daily didactic activities in all educational fields (literature-writing/ preliteracy and literacy) in preparation for primary school, pursuing this objective using a special instrument: children’s approach to art! We believe that art is a direct, active way to experiment with reality, using senses and emotions. To value and guide children along this path of exploration means to nurture their affective and cognitive development. Children explore reality and create through experimentation and playing. 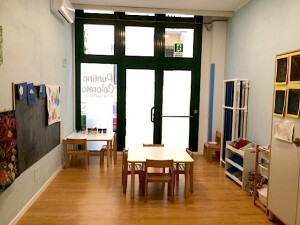 The Puntino Colorato is characterized mainly by its workshop activities, where a child can play and create based on his or her own experience. 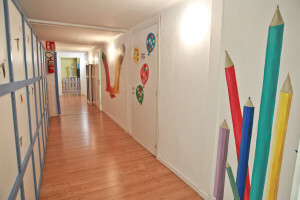 The painting LAB is a dedicated space for artistic and creative activities. 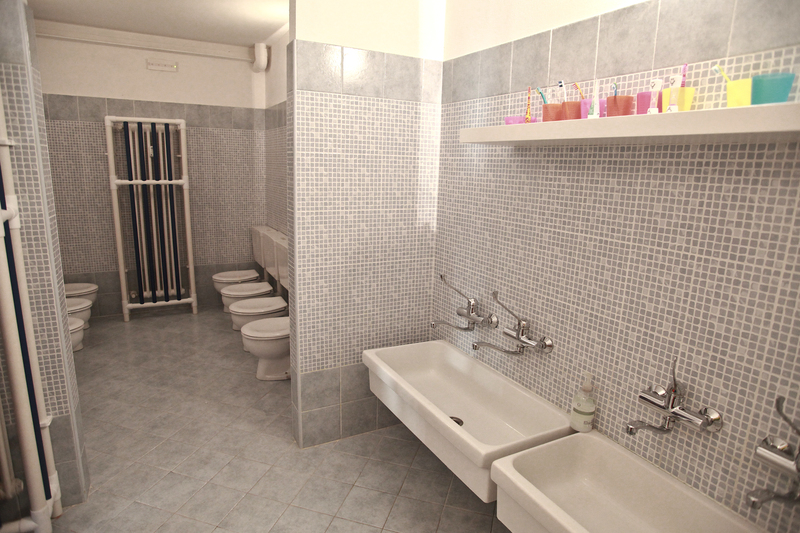 It is a separate, protected place where children can be free to complete their projects without fear of dirtying the space or themselves. 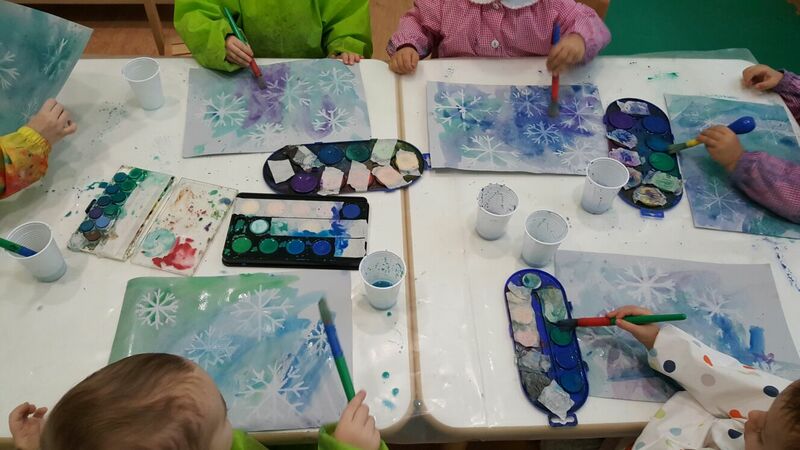 In our painting workshops, with the teacher’s guide, children can actively discover the rules and techniques that are the basis for visual language in absolute autonomy and freedom while respecting each child’s own time/timeframe/timing. During these workshops, children understand that colors recall important sensations and emotions – the “vehicles of the spirit,” as Kandinskj once said. 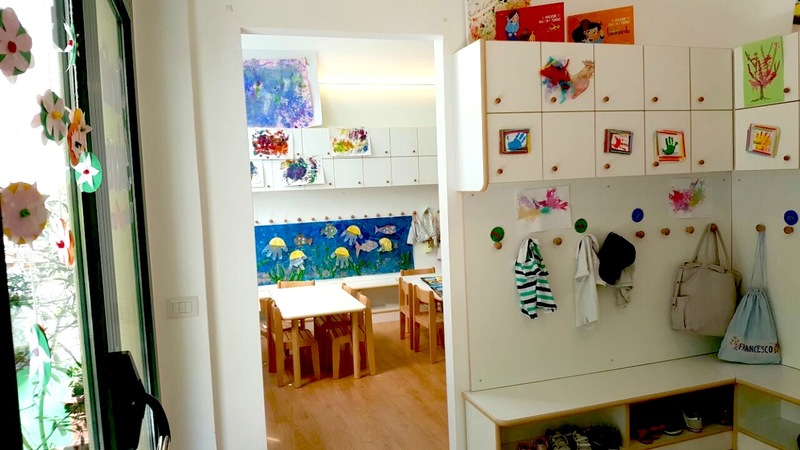 Since colors have the implicit ability to communicate with all of us, children are able to perceive their importance and their speed of expression. 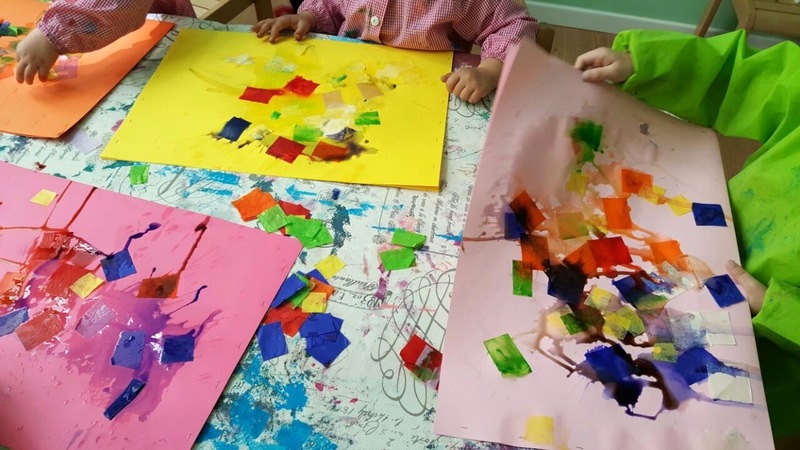 Creative workshops have the important objective of helping children discover their love of/interest in making a mess with colors…with shapes and with the subject. It is important for us that they experience the joy of sticking to one’s individual ‘work’, in order to learn to share these significant moments. Ultimately, it helps them to rediscover the pleasure of playing all together, creating, most of the time, true and real products/objects. 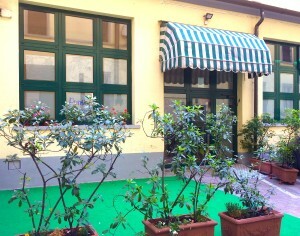 The creative workshops have a colorful dimension, where fantasy and imagination will find total escape! To meet, play, eat and nap time… is all done in English. But how is it done? Through songs, colorful books, stories and moments of entertainment, children are supported in living their everyday reality in English. Since relating to one another in another language is never imposed on them as a lesson, the process becomes spontaneous, fluid and natural for those who always use it as the language of the heart. 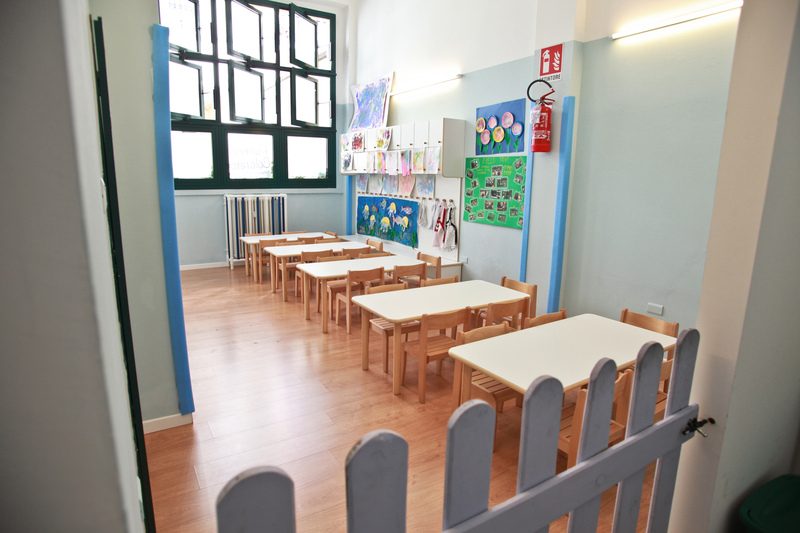 The walls of the nursery school are only the dot (or il Puntino) or starting point to discover the world, or at least…of one’s own city! For this reason, on our educational path, we accompany the children on little discovery trips in Milan and to its museums. We always find the occasion to introduce exhibits to children and parents, inviting them to appreciate their importance and beauty, both during the school schedule and during free afternoons. At Puntino Colorato, we are attentive to the planet and during the historic moment that we are currently living in. We are looking to transmit to children the importance of using everything that they find to play and have fun with. There is no need to buy lots of toys, and it is better to not throw away anything! At times, it is enough even a little imagination and goodwill to transform everyday objects into creative activities. 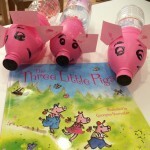 Water bottles become the three little pigs from the fairytale to read together; the bread bag is a marvelous flowering tree; and the dry leaves from the garden can decorate a new tree…painted.